Benedict Cumberbatch is arguably the British actor of the last two years, gaining widespread acclaim for all of his roles and getting work in any films he wishes to go for. Even when films flop, like the Julian Assange biopic ‘The Fifth Estate’, Cumberbatch comes out in tact having put in another commendable performance that won him nothing but plaudits. Here he is then, this time portraying Alan Turing, another role that you know he’s going to excel at before he’s even started, such is his ability to take on mannerisms and truly become the person that he is portraying. While there have been other portrayals of the Enigma codebreaking fiasco, most notably 2001’s ‘Enigma’ starring Kate Winslet and Dougray Scott which used fictional characters to get at the story, Turing has never been portrayed on the big screen before so the attraction of seeing a cinematic biopic of his greatest achievements and horrible mistreatment was always bound to rake in the interest. Directed by Morten Tyldum of ‘Headhunters’ fame, it establishes itself as an examination of Britain’s attempts to break the Enigma code which had blighted the early stages of the war as being an unbreakable code used by the Germans to send messages about attacks and other vital military decisions. Rather than getting bogged down in the how of the matter, it uses Turing as a cipher to explain the importance of the problem and shows how he clashes with the top brass in the military, particularly Commander Alistair Danniston, portrayed here brilliantly by Charles Dance. The film is at the same time funny, poignant and even thrilling as the codebreakers rush to break Enigma against the clock every day, and the plot thickens regarding suspected spies and secrets that have to be kept. Performances from the whole cast are brilliant, and standouts are the likes of Keira Knightley and Mark Strong, with the former showing once again that she can bring life and vigour to characters that could easily have descended simply to stereotype. Strong is, as always, on good form and has always excelled at being that cold, mysterious figure that is secretly pulling all the strings. His performance gives an added power to many scenes, and his interactions with Cumberbatch make for some of the best parts of the whole film. 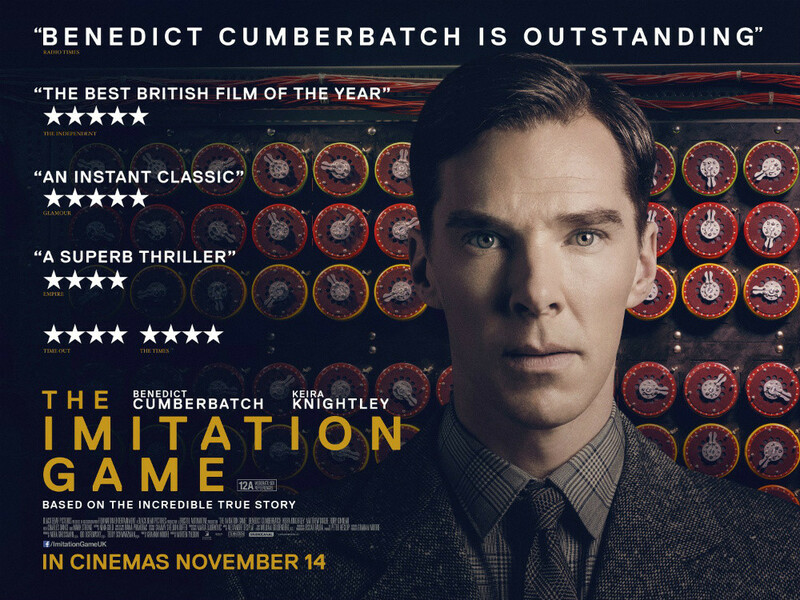 Overall ‘The Imitation Game’ is a film that succeeds on most levels, managing to be a respectful but interesting look at Turing’s life and achievements during the second world war, and the tragedies of what happened afterwards. The exploration of past relationships is also an interesting one, with a brilliant performance by Alex Lawther as a young Turing providing the character with an emotional edge that is maybe unclear when we perceive Cumberbatch’s reserved, arrogant Turing who is so adept at alienating those around him. It’s a character study that blends elements of melancholy, humour and drama to make a film that hits all the buttons, even if it sometimes pushes on some too hard at times. An admirable effort definitely elevated by another brilliant performance from Cumberbatch.